The restaurant of 3-stars chef Michelin, Quique Dacosta, has a new space in which creativity and cuisine fuses. El Studio de Creatividad was born as a bridge between cuisine and the discovery of new flavor. It is a laboratory within the kitchen itself, which maintains direct contact between the chef and the act of cooking. 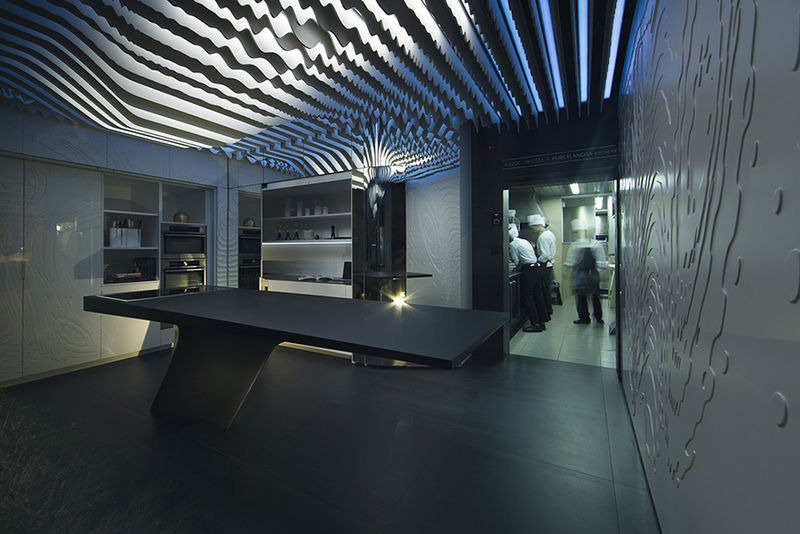 El Studio de Creatividad surges from the gastronomic concept “Landscapes of Dacosta” by which the chef extends his scope to tables, ceilings, and walls. The idea is to merge objects until the boundaries between space, function, and decoration disappear. It is at this point that Porcelanosa Kitchens appear. 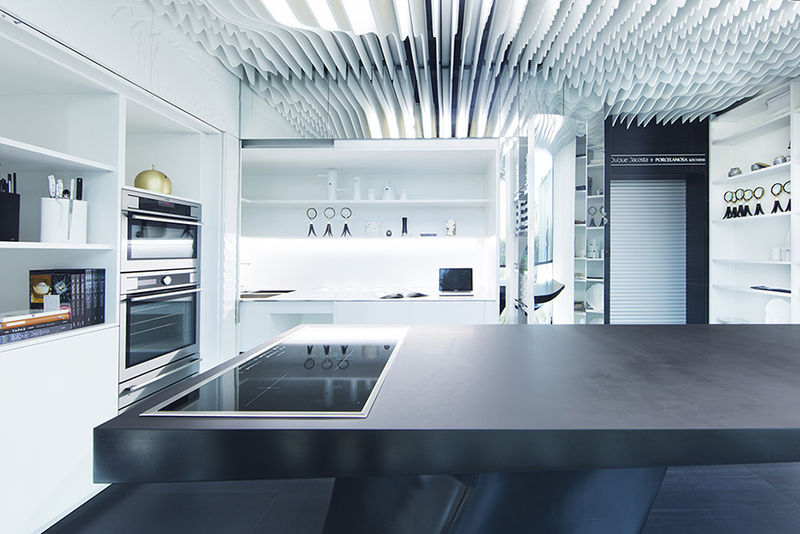 The most important piece is found in the central island created by a single piece of KRION® Black, a magnificent canvas used to exhibit culinary creations. The surface allows for gourmet dishes to be displayed in a way that enhances their attributes, without stealing the spotlight. One side of the island is equipped with a cooking area that allows dishes to be prepared in front of guests. In the area that features columns, we find retractable fronts that on one hand are decorated with a bas-relief finish in KRION® Snow White and on the other have mirrors. 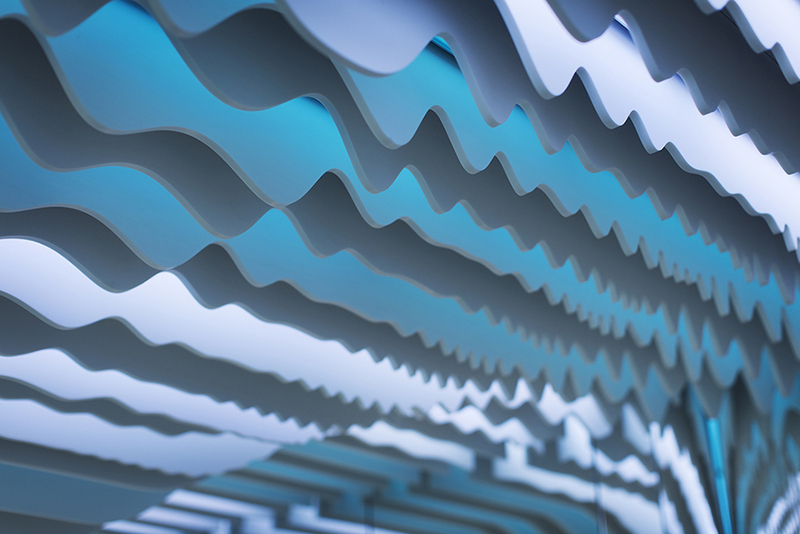 In their interior, there is a surface with a washing area made of KRION® Blanco, a system of backlit LED on the shelves, and integrated appliances. A new dimension that was not used until now comes into play on the roof. 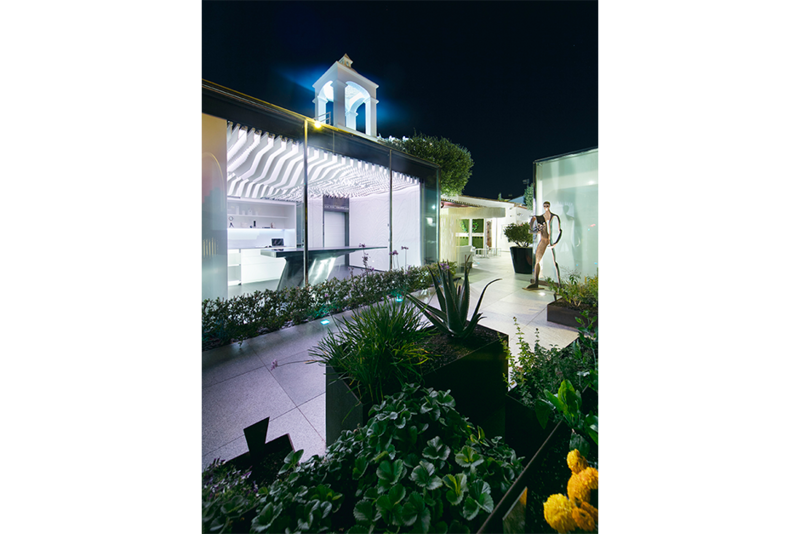 The roof is equipped with a system of slats made of KRION® Blanco that give continuity to the entire design. The result is a striking effect, thanks to the fluidity of the forms between the fronts of the columns and the ceiling. Another great advantage of this system is that it allows for the different installations that are needed, such as the most powerful smoke filtration systems, lighting systems, audio systems, etc., to be hidden. 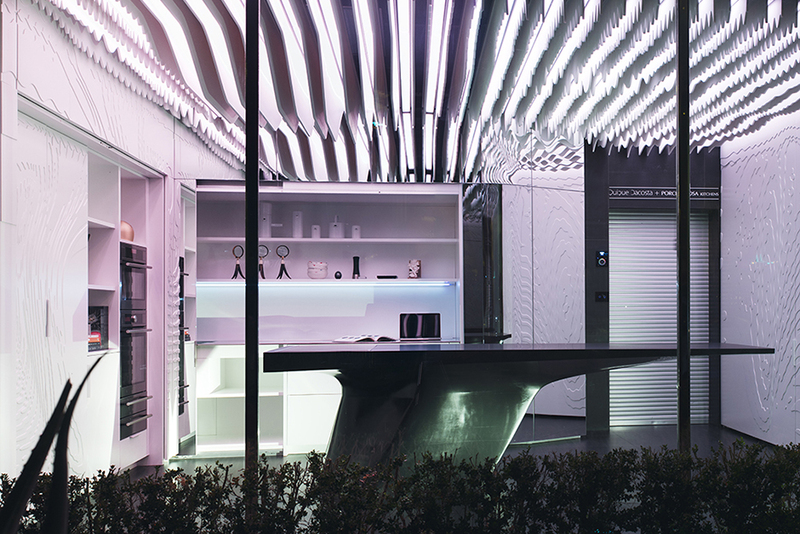 But the collaboration between Quique Dacosta and Porcelanosa Kitchens does not end there. All these innovations derived from the creative mind of the chef, give way to a new model sold by the firm. An open kitchen, designed to satisfy the demands of lovers of high end cuisine and allow for another spin on the art of the stove.